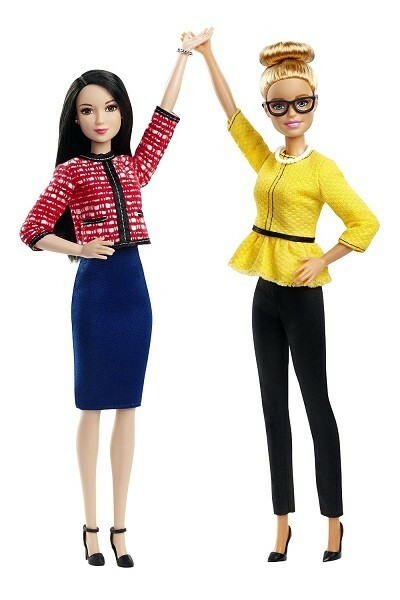 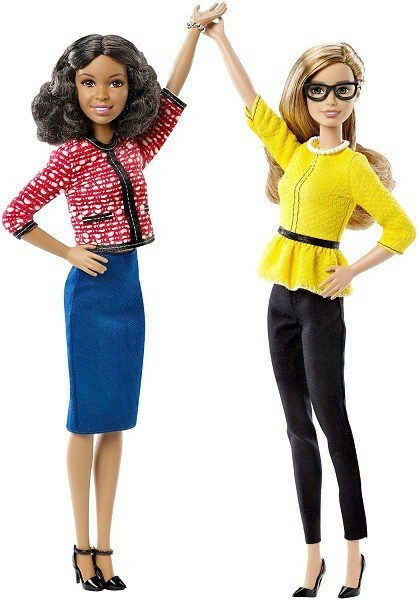 Explore leadership roles with this doll two-pack that includes President and Vice President Barbie dolls together for the first time! 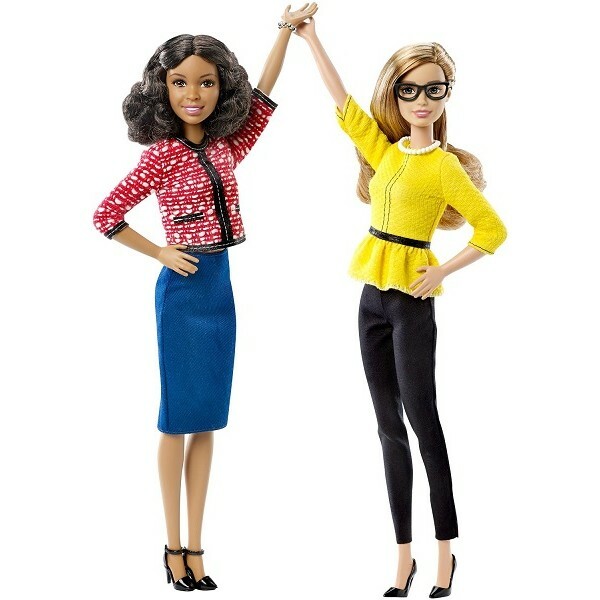 From campaign tales to election events to decision-making moments, these partners are ready to inspire stories around leadership. 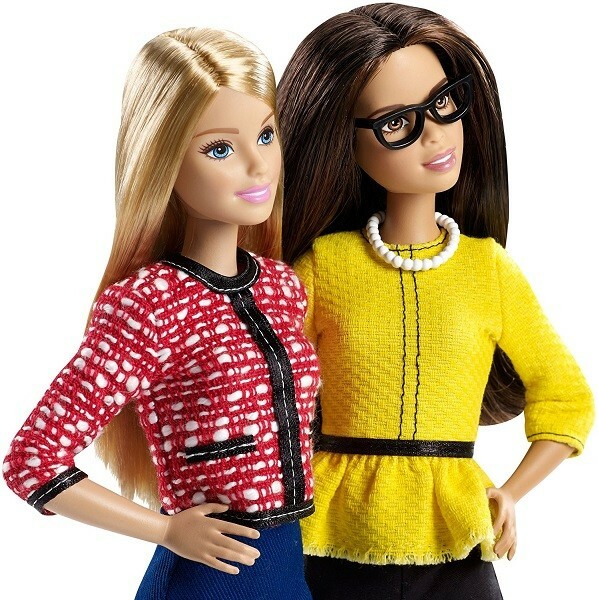 The dolls are available in three different pairs, including different racial representation and two of Barbie's new body models. 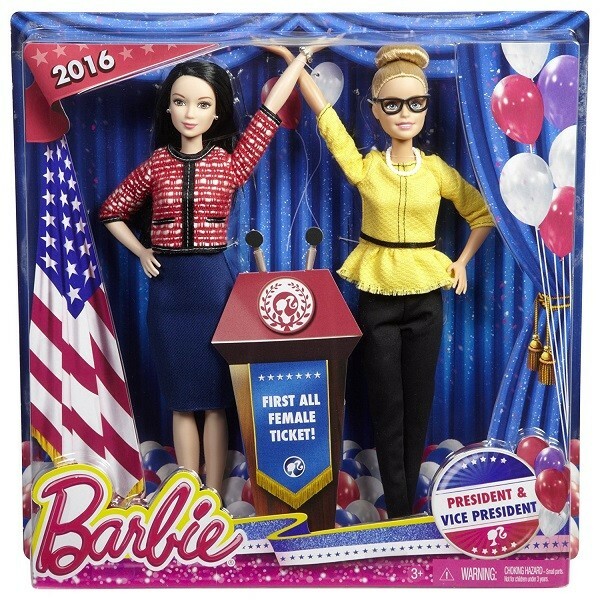 This set, made in partnership with She Should Run, encourages girls to see themselves in leadership positions, and the box proudly proclaims "First All Female Ticket."